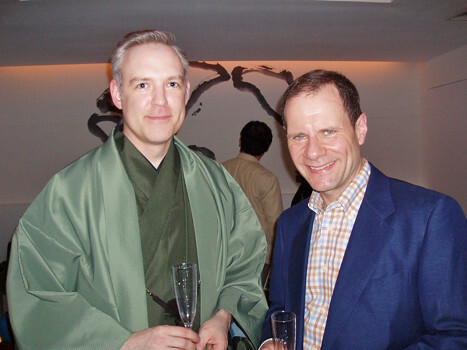 Imagine my surprise when Food and Drink writer Michael Anstendig alerted me to the fact that my kimono-clad picture was featured on the Time Out NY website! I recently attended a fantastic sake event and I will post a full report soon. Until then, check out this Blog Post in the Time Out NY Food Blog. This event was an absolute blast and I had a lot of fun dressing in Kimono and drinking some of the most rare sakes I might ever enjoy. Not a bad way to spend and evening in the Big Apple. Thanks Hiroko-san! I would love to visit your shop in Kimono. watch out – you’ll never know when I might show up! You look great in your beautiful green Kimono. You have to come down to SAKAYA with your kimono!